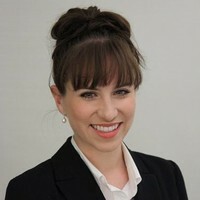 Dr. Elizabeth Newnham is an early career fellow at Harvard FXB Center. Her research examines mental health outcomes for children and adolescents living in chronic adversity, and the development and evaluation of evidence-based interventions in disaster and post-conflict settings. Newnham joined Harvard FXB Center in 2010 as the inaugural American Australian Association Morgan Stanley Pediatrics Fellow. She completed her master of psychology (Clinical) and PhD at The University of Western Australia, for which she was awarded a university distinction and the Australian Psychological Society Award. Newnham has since conducted work in child and adolescent mental health, post-emergency resilience, and human rights in Australia, Singapore, Sierra Leone, China, India and the United States. She recently received an Australian National Health and Medical Research Council Sidney Sax Fellowship to examine the mediating role of daily hardship in post-traumatic stress responses among war- and disaster-affected children. She holds concurrent positions at the University of Oxford, The Chinese University of Hong Kong and The University of Western Australia.